Been awhile XD Sorry, I have been doing stuff just never posting. 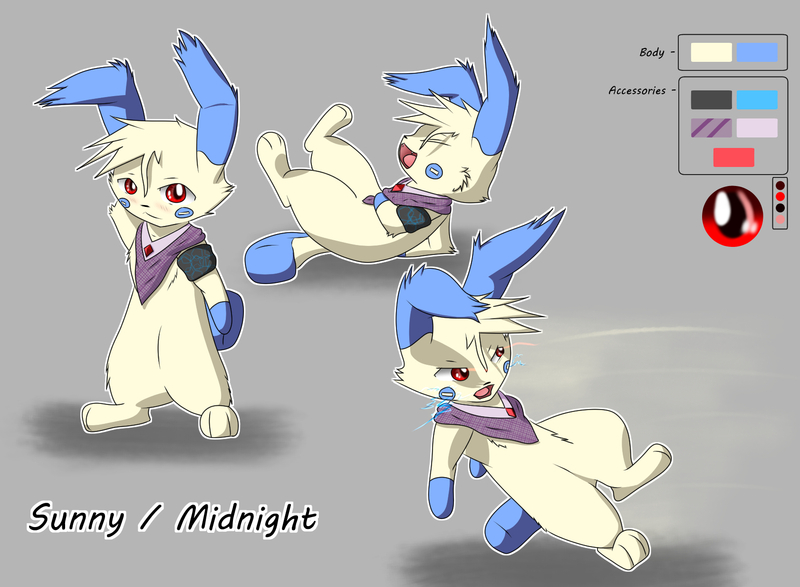 Here is Sunny, a cute little Minun who's a bit childish in attitude but dangerous if he so chose to be. He is also known as Midnight, which is Red Energy from the Death mew himself, he and his brother wanted to actually have a life so they found two Minun babies and took control XD You don't want to know what they did to the souls that were already present in the bodies.